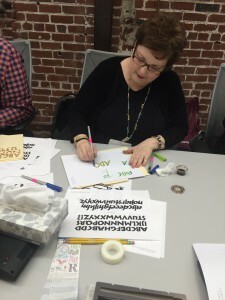 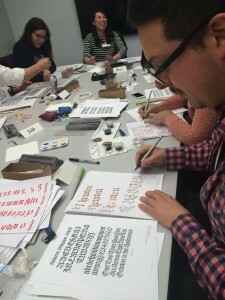 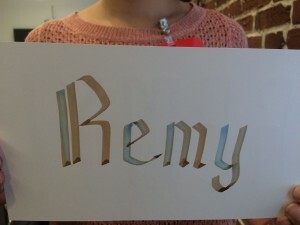 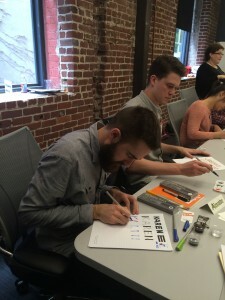 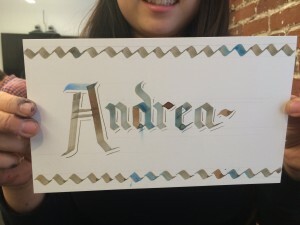 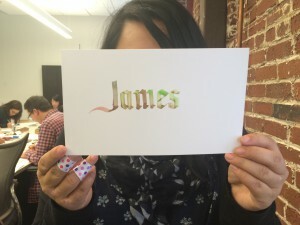 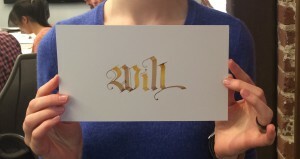 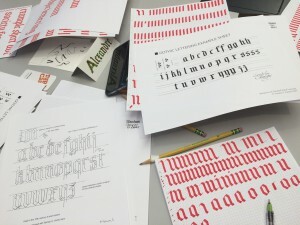 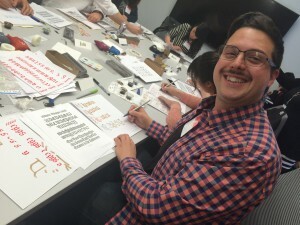 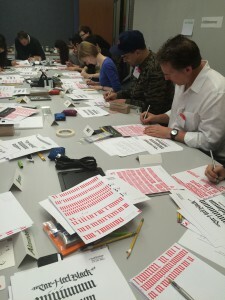 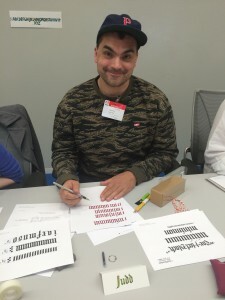 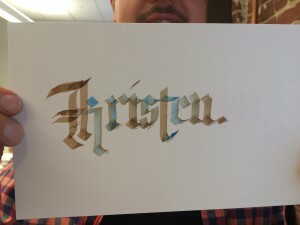 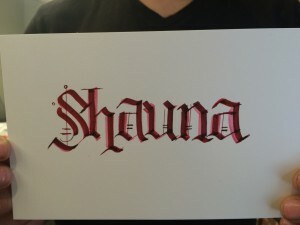 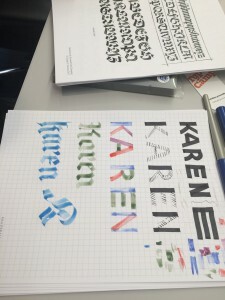 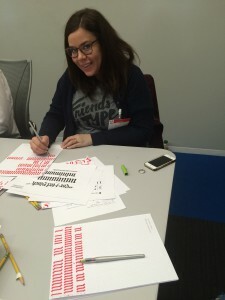 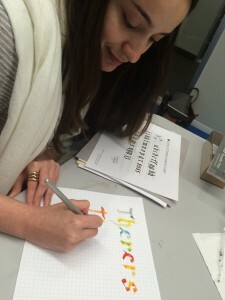 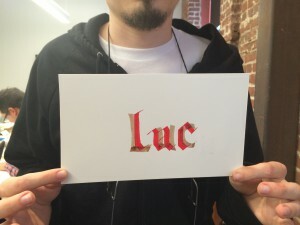 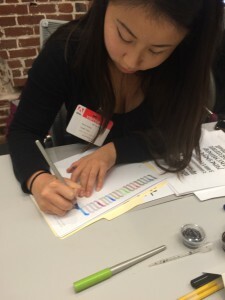 We were fortunate to hold a second camp at the Adobe building in San Francisco where Xandra helped campers to learn two different parallel pen styles, Blackletter and Neuland. 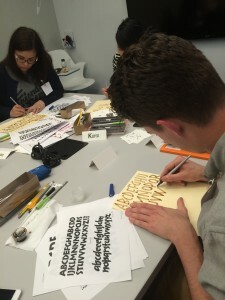 We had two campers from the previous Friday workshop rejoin us as students, and in a great example of how Type Camp is an equal opportunity learning environment, this class also had the previous workshop instructor Alexandre, and local type designer James Edmonson as students. 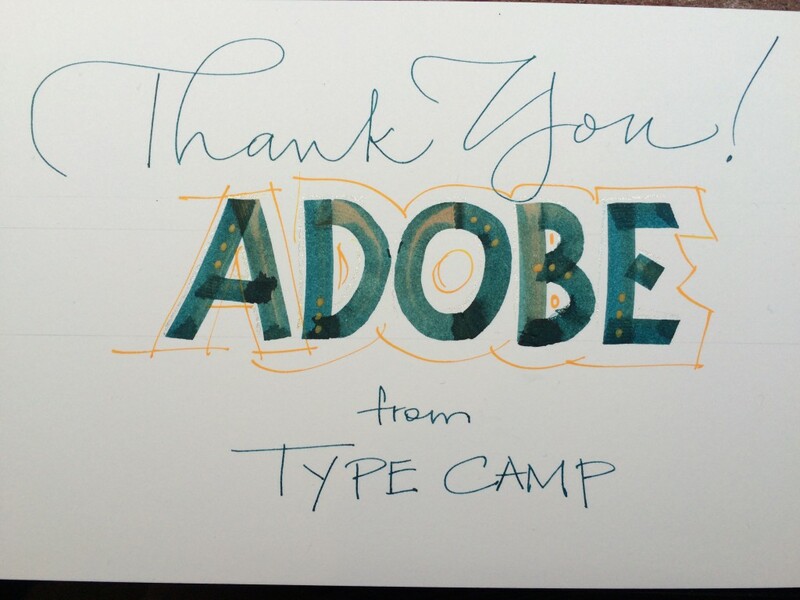 I can assure you that they had just as much fun learning new techniques as the other campers did! 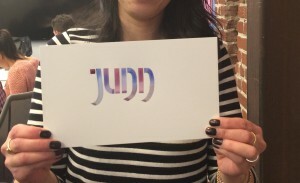 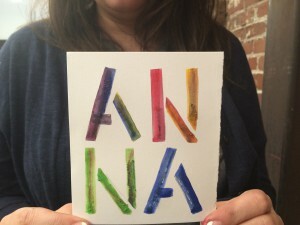 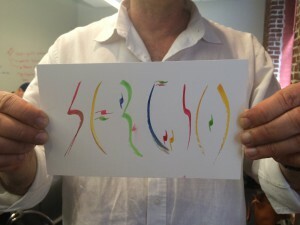 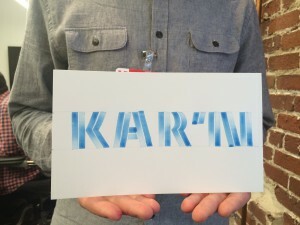 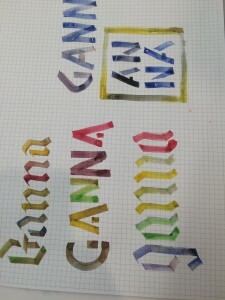 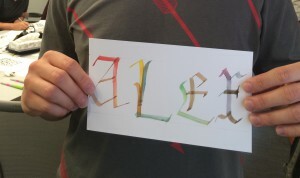 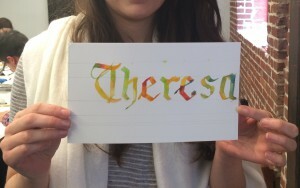 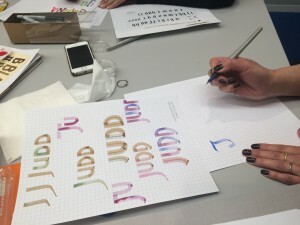 This was an interesting class as we have never been able to explore color in a lettering workshop – but Xandra not only showed us how to use color, but how to create totally cool blending effects with the parallel pen.